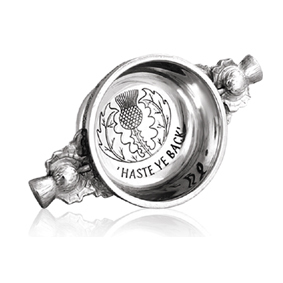 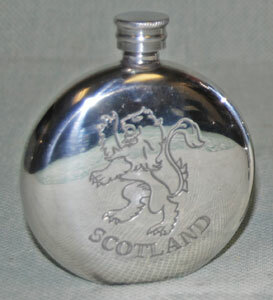 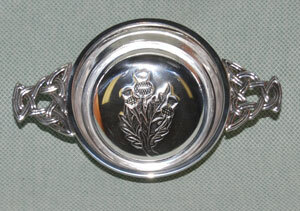 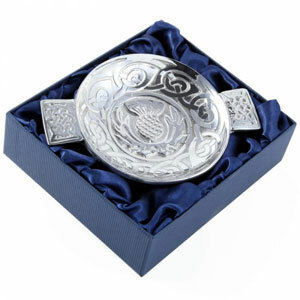 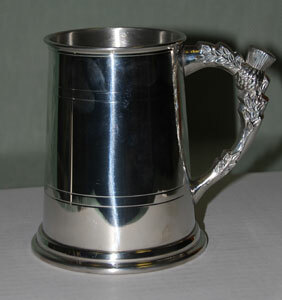 Take this shiny thistle center pewter quaich to your next Burns Supper! 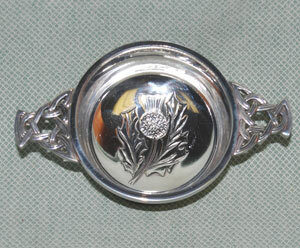 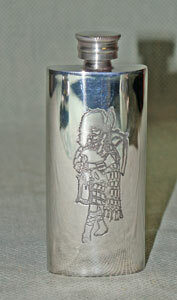 Toast the piper with this thistle center pewter quaich with 2.5" bowl. 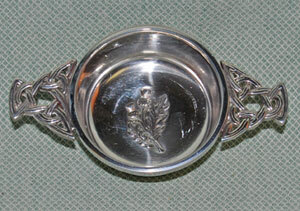 Read the message as you empty with this pewter quaich with 2.5" bowl.